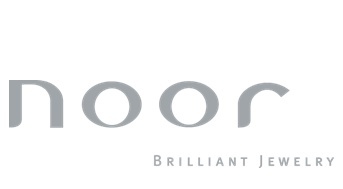 The name Noor finds its roots in the legendary diamond named Koh-I-Noor, also known as Mountain of Light. This is a 109 carat diamond that was used in the crown of the British queen Elisabeth. The legend of this diamond says that diamonds bring luck and happiness. The fascination for unusual creations and hand art transforms white, rose and yellow gold into timeless jewellery with clear forms. It ensures that the creations of Norway are internationally recognised as the "Wave" collection, rings with a graceful wave of diamonds. A real trademark of Norway is that they often put a diamond on the inside of a ring, the symbol of the ultimate secret. All materials are carefully selected by Noor and processed for individual applications.